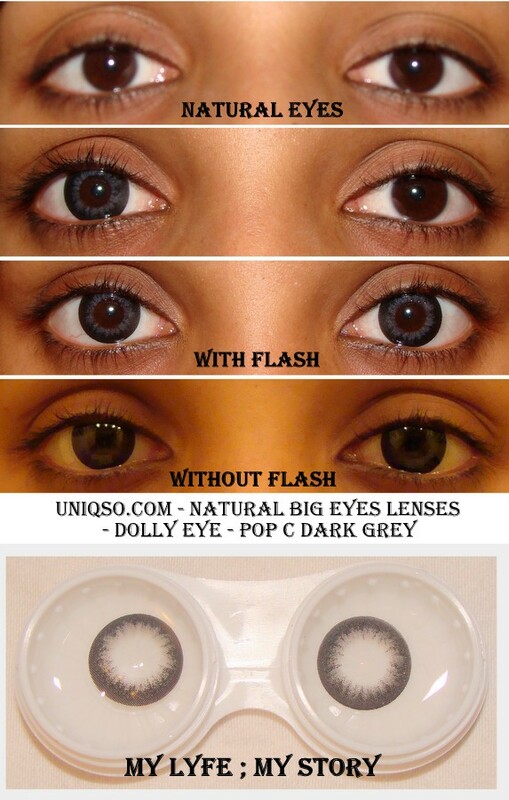 It's been I while since I did a product review and now here is a review on Uniqso.com's Natural Big Eyes Lenses - Dolly Eye - Pop C Dark Grey. I received an email from Uniqso.com and this website has all sorts of lenses and when they gave me offer to review a contact lens for them. I just jumped right into their wagon. For the product review I chose the do a review on Natural Big Eyes Lenses - Dolly Eye - Pop C Dark Grey Contact Lenses. As last time, I would like to start off this review by giving the company some credits for their amazing packaging. The packaging is extremely cute, with the two teddy bears and the bottles are also very adorable too. I just love the overall packaging concept. Overall, these lenses are pretty amazing and I love the colour. When I ordered it, I wasn't really sure if I would be able to spot a difference between my regular eyes and the lenses. However, to my surprise it did make a huge difference and I love it. It is extremely comfortable, however it does dry out fast. Also, the lenses are big so it give my eyes more attraction. I am really in love with this colour and with this online store, Uniqso.com. Check out the website "Uniqso.com" and tell me what your favourite lenses? FTC: Uniqso.com sponsored the Natural Big Eyes Lenses - Dolly Eye - Pop C Dark Grey for my honest review. I was not compensated to make this entry and this is 100% my honest opinion. Today is officially the first day of autumn and I am excited to see all the leaves change colour. This is one of my favourite season of all four. I love this season due to all the colour change and also I get an opportunity to jump on a huge pile of leaves, plus I needed to also rake them (that part isn't really my favourite). Also, when the weather get a little chill, that literally means that all the hot liquids drinks from Tim Hortons, especially hot latte and mocha. However, the best part of fall is all fashion. Yes, I love fall fashion since it mainly deals with layering tons and tons of clothes to keep warm. I am huge fan of boots, scarves and chunky sweater... which is all perfect for the fall weather especially in Canada. Since it gets pretty cold down here and trust me too much layers? - there is no such thing when it comes down to our weather. Now, this post is all about "Fall Trends" and it's all based on my picks. 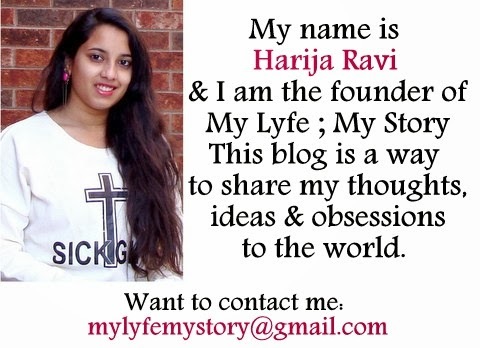 Furthermore, for this post I will be featuring all the clothing items from an online fashion shop called Coco-Fashion.com. 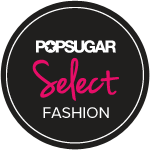 Coco-Fashion.com is an international online fashion shop with a variety of Women's Clothing for Retail, Wholesale and Drop Ship customers. Coco-Fashion.com is online shopping site, where primary focus is on Korean Fashion, Japanese Fashion, TaiWan Fashion, HK Fashion and Hong Kong Fashion. What attracted to the sight is the affordable prices. What I liked about the website is it offers trendy fashion clothes at very affordable prices without compromising on the quality. 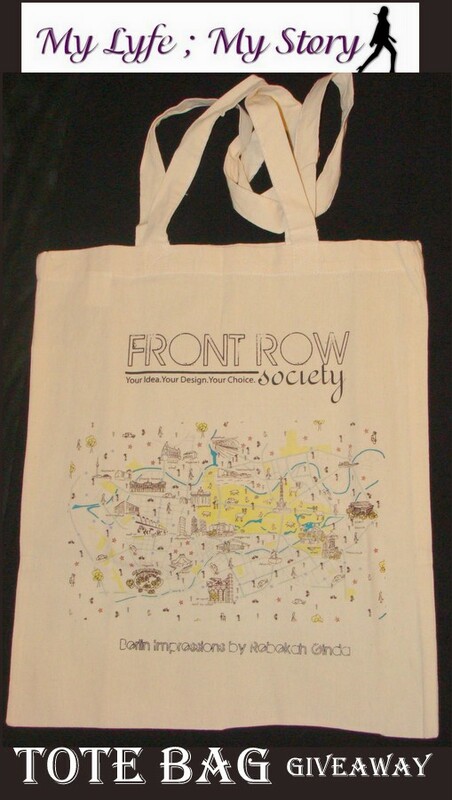 With a plethora of options available, you might end up going crazy while shopping on Coco-Fashion.com. One thing that attracts me most to shopping is when I get a good deal. 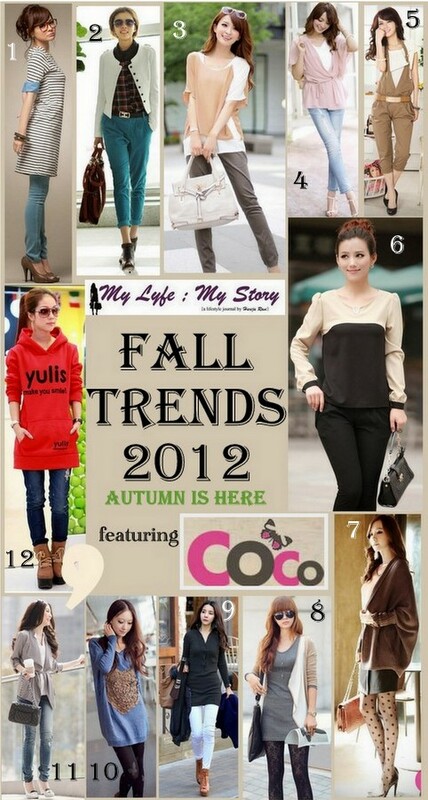 So you are looking for affordable, chic, trendy clothes then head over to Coco-Fashion.com and start your shopping spree! Here is a collage on ll the items I would wear and pair for the fall season and below the photo I described each outfits look. Plus, described all the trends that is used for each look. Well, hope you like the long description of looks I choose, plus all the photos used on the collage are from Coco-Fashion.com. As mentioned these are looks that I love and would wear as my daily basics. Also, I would love to know what you fall fashion trends are and how you would pair them for daily basics? Well, have a lovely weekend Everyone! Once again thank you so much to "www.choies.com" for hosting this amazing giveaway! 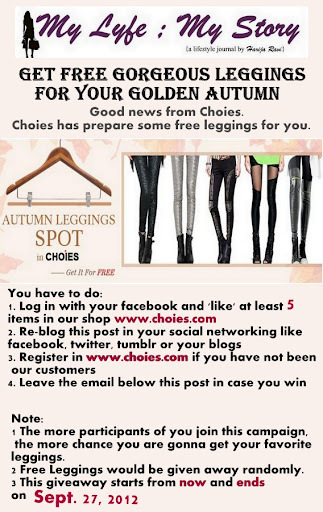 Remember this is an international giveaway and it ends on Sept. 27,2012. Finally, today was officially my day to go back to school. I have been waiting to go back since summer began - truthfully that's a lie. I really don't want to summer to end so soon, but I still need to hit my books so that I can graduate fast. Then after that I have to make my biggest life decisions, but there is still so much time for those moments. So far, I am happy with my Monday classes and I ain't too sure of tomorrow classes or the next days classes. I am actually excited for them, especially my math classes (I am literally a geek and proud to be one). Well since classes started, like last year I wanted to give you all a heads up and inform you that I will as always try my best to blog often. Plus, this year I actually have a schedule planned out so everything works out. This semester, literally for the next four months I have classes four days during a week, with all that in mind I created a well working plan. I have officially decided that from this day forwards, I will be trying my best to have at least two posts a week and if possible three would be great. Also, you can expect to see a post up on Saturday/Sunday, Wednesday, Friday. Also, like to mention a head of time, if I have midterms, research paper/labs and even exam; I will inform you all a head of time and also included some preplanned post. Hope all this information isn't too much to taken in and also, I already tweeted this, but I want to let you all now that I have planned about three giveaways and tons of product reviews - since these are one of my most requested posts.